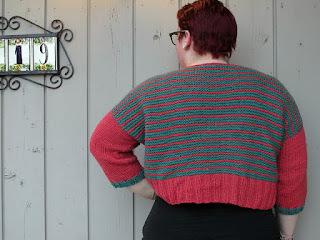 I finally got pictures of my finished Easy A-long sweater, and I'm so thrilled with it! I really love these colors together, and I'm so pleased with how the stripes and colorblocking worked out. 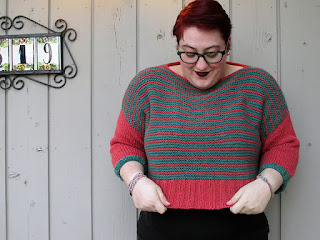 I knit the cropped version, and after doing the bottom ribbing in pink, I striped four rows of green with two rows of pink for the rest of the body. I finished the neckline in the pink, and then kept the sleeves pink except for the cuffs. I'm really pleased with the result. It had been starting to warm up this week, but we're supposed to get more snow and ice today, so I'm sure I'll get several more chances to wear this before spring finally does arrive. 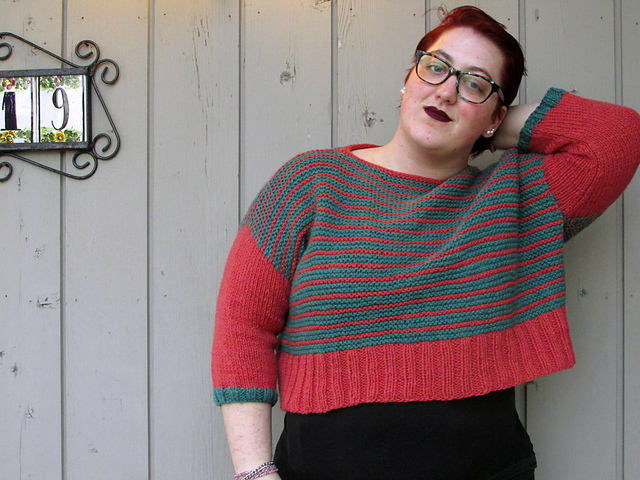 Yarn: Cascade Yarns Eco + "Wild Rose Heather" and "Lake Chelan Heather"
It's so cute! I like those colors together. Well done you. 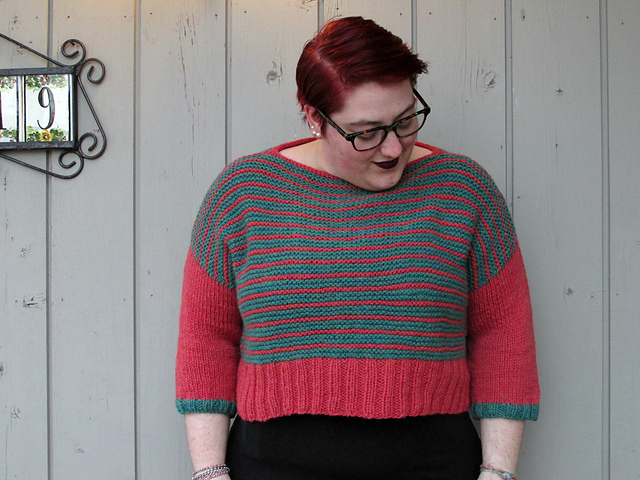 Not only do those colors look fantastic together- they look fantastic on you! I good looking transitional sweater!! Looks great on you.